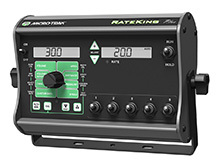 New Product: Plus Series Controllers |Micro-Trak Systems, Inc. 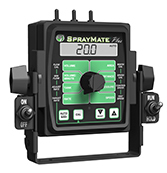 Flexible, powerful, automatic liquid rate control solutions for agriculture, grounds, and highway maintenance. Customizable monitoring options and advanced features let you manage your liquid applications with absolute piece-of-mind. 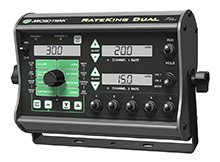 RateKing Dual Plus – dual channel design allows application of two products from one controller.